The Minnesota Twins have unveiled their new Home alternate jersey for the 2019 season. 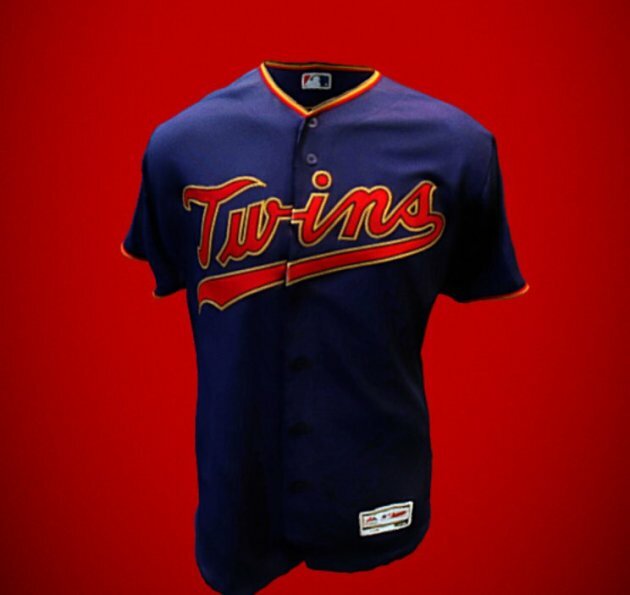 The jersey will be a navy base with the retro Twins script logo across the chest. The necklines and sleeves of the jersey will feature red, gold, and navy piping along with the script logo and sleeve logo being outlined in gold. The players will wear their primary cap with gold stitching to top off the look.